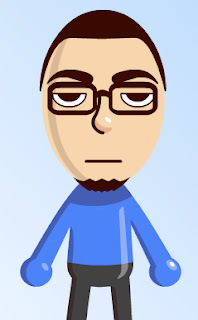 The Gay Gamer: Why can't I see Mii in my Wii games? Some interesting news recently came out of gaming pub Next Generation about the use of Miis in third-party Wii titles. Apparently the big N hasn't supplied other companies with the information needed to allow them access the characters for use in games. Also, the mag reports, there's no telling if and when Nintendo will put this information in the hands of third parties. Unfortunately, the news isn't all that shocking to me. Ninty always has held information close to its chest, even when it seemingly damaged relationships with other companies (and, in effect, harmed its own consoles and company). We've already seen this with the Wii, in fact, with Nintendo only recently providing third parties with the information needed to add WiFi connectivity to their games. I understand a lot of games that just wouldn't work with Miis replacing the main characters, but I'd like to see more of it nonetheless. Here's hoping Nintendo can work something out so it will happen to some extent in the future.